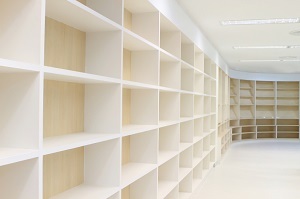 How much space should libraries dedicate to physical books? When Bob Jewett goes to the Georgetown library, he usually picks up a handful of books, a few magazines, and his daily newspaper. The one thing you won’t see him picking up is an ebook or, more correctly, an ebook reader. At 78-years-old Jewett prefers large print paperbacks, not computer, tablet, or phone screens. Delaware libraries are quickly changing, however, with full computer labs, ebooks, and digital classes, it’s actually started to become a little bit tougher to find an actual paperback book. In short, libraries are reinventing themselves by going digital. The Wilmington, Dover, Georgetown, and Seaver libraries are all about offering new and innovative programs. Current programs include resume building, applying for a career, and even preparing for a General Educational Development (GED). It doesn’t end there, Lewes offers a class where you can create a pattern on a workstation computer, and print it on a state-of-the-art 3D printer. At the Brandywine Hundred library, young readers can sit comfortably and read to the library’s dog. Jean Kaufman, director at Brandywine Hundred, said the kids love the dog because he’s a great listener, isn’t forgiving on early learners, and just plain loves to be read to. Bear library offers classes in entrepreneurship, where patrons can sit and talk with fellow entrepreneurs through state through video conferencing. Secretary of State Jeffrey Bullock said libraries are becoming more of an all around learning center than just a place with books. But even if libraries are becoming more technical, they still have a little something for the older generation. For example, if grandparents want to learn how to connect online with their grandchildren, there’s a class for that. Libraries are offering social media class that teaches everything one would need to know about connecting with others on popular social networks – and keeping safe while they’re at it. Bullock said that what makes the library systems so special in Delaware is their ability to adapt. Stacks of books and encyclopedias are being swapped for high speed internet. But many are asking how much space should be reserved for books versus making more space for activities and computer labs. Recent polling showed 20 percent of library goers throughout the United States want to give up books for labs and activity space, while 36 percent aren’t quite ready for a change. Deputy Director of state libraries Beth-Ann Ryan said digital technology is growing throughout the state with patrons wanting more access to ebooks, and e-magazines as well as streaming video. Library systems are doing their best by providing access to tablets, smartphones, and e-readers. Every day, an estimated 1,000 ebooks are checked out by Delaware residents. There are about 2.5 million ebooks available throughout the state. These are located at public libraries, as well as high school and college libraries through loans provided by the state. Ryan believes libraries are quickly returning to their status as the central focus of the community. They’re friendly places where residents can learn and grow. It’s also where people can interact and stay connected. It’s no longer just a place to pick up a book. While the rate of change may be disagreeable for some, libraries are working to keep up with the times, and they appear to be doing a pretty darn good job.